Thus begins a slow, but steady twisting of the tenets of Scrum and the team embarks on a slippery slope. As the team now begins to sit during ‘Daily Stand Ups’, the meetings increase in length from 1 hour to 1.5 hours, and sometimes stretching to 2 hours. With less time available for actual work, tensions increase. Team members start questioning the need to meet on a daily basis when on earlier projects they met once a week and things were more or less fine. Then from ‘Daily Stand Ups’, the format changes to ‘Alternate Day Sit Downs’. This affects coordination and as the gap increases between meetings, the meetings start taking a bit longer, or issues increase. Slowly, other changes start taking place – the whiteboard where tasks were updated in the first week stop being used by team members. Instead, they revert to sending email updates. The project manager, not realizing the critical importance of each of these tenets of Scrum, not trained in Scrum methods and never having practiced Scrum, also starts questioning himself and accepts these changes. He keeps a track of ‘To be done, In Process and Completed’, but only at his desk. Other team members start to become more confused. Now as the team had dedicated itself to Scrum in the beginning, switching to alternate traditional project management methods in the middle of the project leads to an even bigger mess. 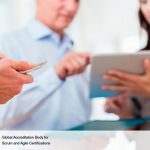 End result – a poorly managed project which started off with good intentions of using Scrum as a methodology, but failed because of lack of understanding of Scrum. 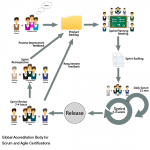 Scrum is a simple methodology but needs training in Scrum and guidance for first time users. Without it, critical elements end up getting twisted and the project heads towards failure. Moral of the story – Scrum training is not optional. If you want to get the best out of it, get expert help in the beginning and only after thorough training, should you use it at work.